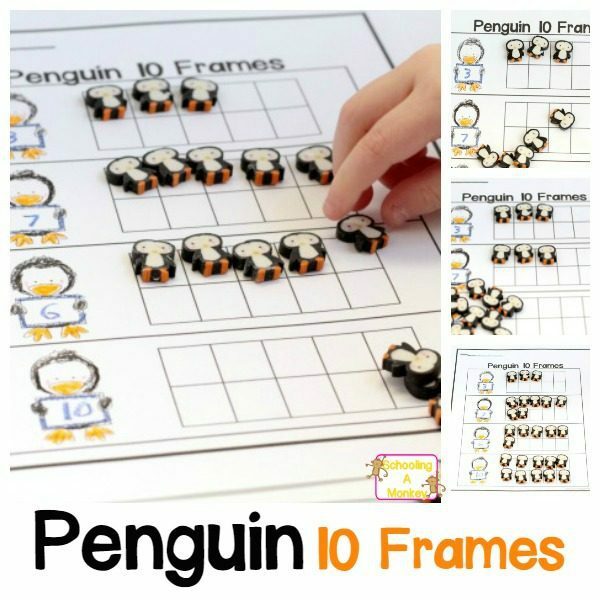 This penguin-themed 10 Frame Printable Worksheet is the perfect printable tool to help preschoolers and kindergartners learn to count to 10! If your kids love penguins and need help learning to count, then the penguin 10 frame printable worksheet is for you! Help kids easily learn to count to 10 in a fun, hands-on way using penguins! You will be directed to the download page. Click “Download: Penguin-Themed 10 Frame Printable Worksheet” to save your printable. You will also be sent an e-mail link to download your printable. Use penguin erasers to make this printable even more fun! Go here for more ideas on how to use this printable.